uTorrent is a freeware application for sharing files over the internet. This software is embedded with all the required features and is quite popular all over the world. Size of this program is quite small which makes its installation very quick and easy. It has a simple and easy interface. During installation, one should take a bit extra care so that some third party software doesn’t change the settings of your web browser. This application has a powerful built-in search function which enables you to find new download content quickly. You can quickly and easily access its main functions from the interface as everything is directly accessible from main screen. It never slows down your system as whenever user activity is detected, download gets paused automatically and restarts when user is away. Add Torrent dialog is fixed in this version. More simplified and customizable user interface. New features are added in user interface. Updates and improvements for increased performance and stability. A built-in player is added. Now its content can be moved to another device like iPad. You can watch streaming videos now and much more. Download speed is quite fast with utorrent. It doesn’t take much of the system resources and works quietly in the background. It has very intuitive and simple user interface which makes it very easy to use. Downloading torrents is a cakewalk with utorrent. This application never interferes when you are doing any other activity on your computer. It is a very light program with small footprint and a size less than 800KB, which also makes its installation speed excellent. Access your utorrent from anywhere with utorrent’s webUI. 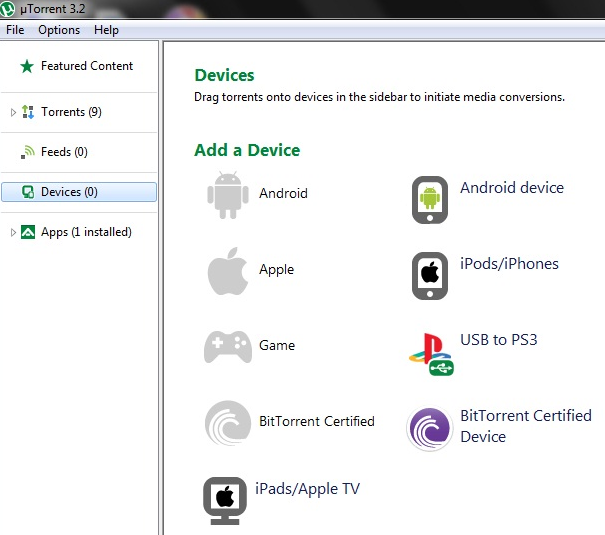 You can always manage your downloads which are running at home from anywhere with utorrent’s remote access feature. 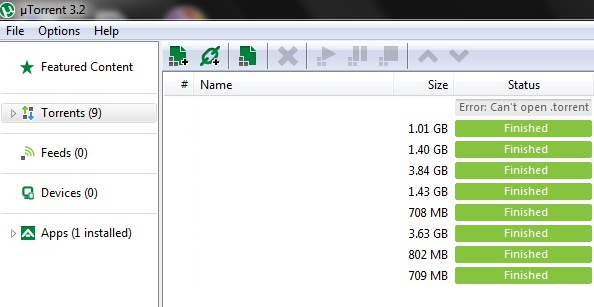 You can add new downloads or stop the current downloads or whatever you want to do with your utorrent with its WebUI. One can easily access the home computer securely as it uses ultra-private authentication and key exchange technology to make remote computer accessibility secure and safe. uTorrent always comes up with latest and innovative technologies like streaming of video torrents, protocol encryption, IPv6 support, RSS downloading, trackerless support, configurable bandwidth scheduler, password protected boss key, UDP proxying for SOCKS5, quick resumes interrupted transfers, global and per torrent speed limiting and much more. uTorrent is called a smart and intelligent application because it automatically adjusts the bandwidth usage depending upon your network and internet. For example, you are playing a game on internet or watching or downloading a video, you can easily perform all these functions without any interference because utorrent will adjust i.e increase or decrease the bandwidth accordingly, so that it doesn’t hinder any of your activity on computer. It can do multiple downloads simultaneously and that too smoothly as well as fast. uTorrent reduces congestion and maximizes bandwidth to make your downloads quick and smooth. For this, it uses uTP technology and doesn’t make your internet connection slow. uTP is micro transport protocol which provides reliable and ordered delivery by automatically slowing down the rate of packet data transmission between the users of peer-to-peer file sharing torrents when it interferes with other applications.